Time seems to be moving at an accelerated pace these days. 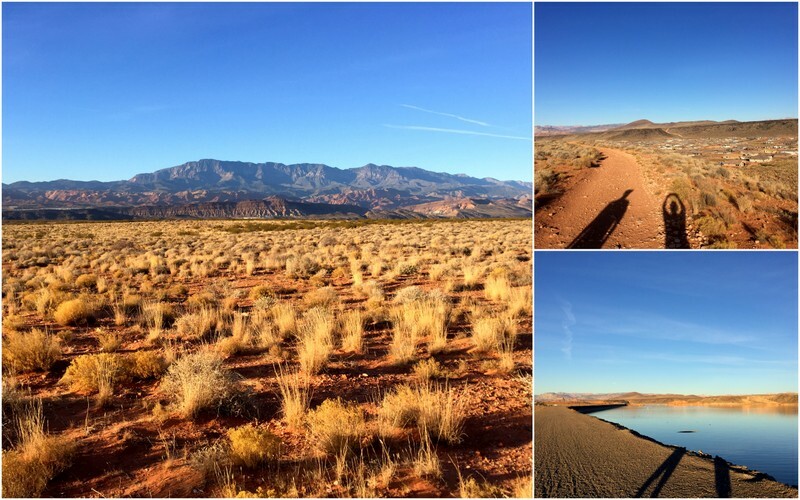 After our busy Thanksgiving week in Zion, we had two weeks to kill before storing the Airstream and leaving for a three-week trip to the frozen north. Time flew by and here we are now with only a few hours left before we board a plane and then a train for the first leg of the journey to Chicago (where the cold weather is arriving just as we are). 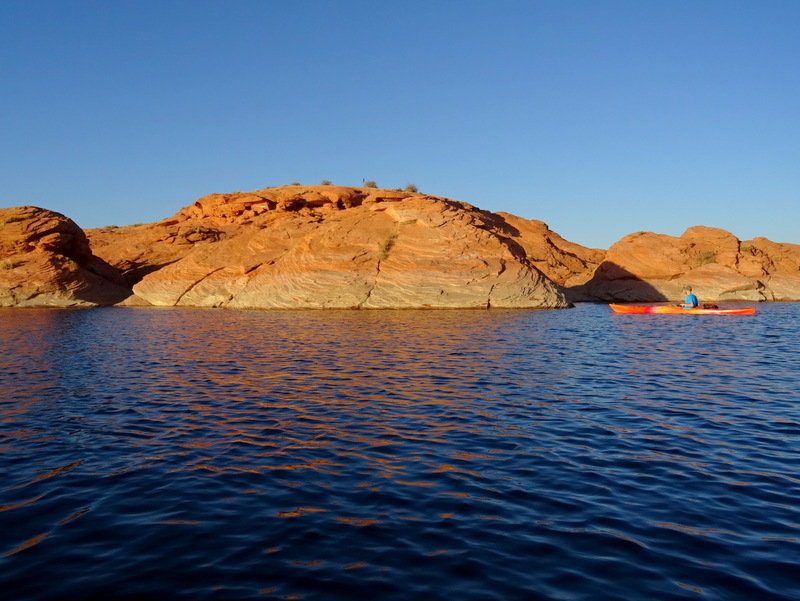 We spent the first week at Sand Hollow State Park. It was our second time staying there and we managed to get a site on the edge of the campground with great views. It was a gigantic pull through with a paved pad and full hook-ups. Not bad for $28/night. 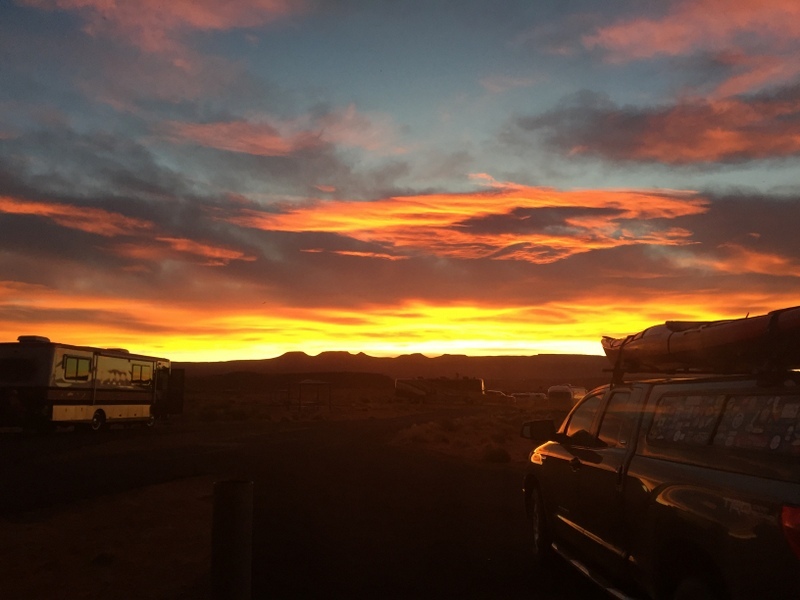 I somehow never took a photo of our site, but I did get one of the amazing sunrise on our first morning there. Between running around and doing errands for our upcoming trip and catching up on work and personal projects we didn’t have time for much else. 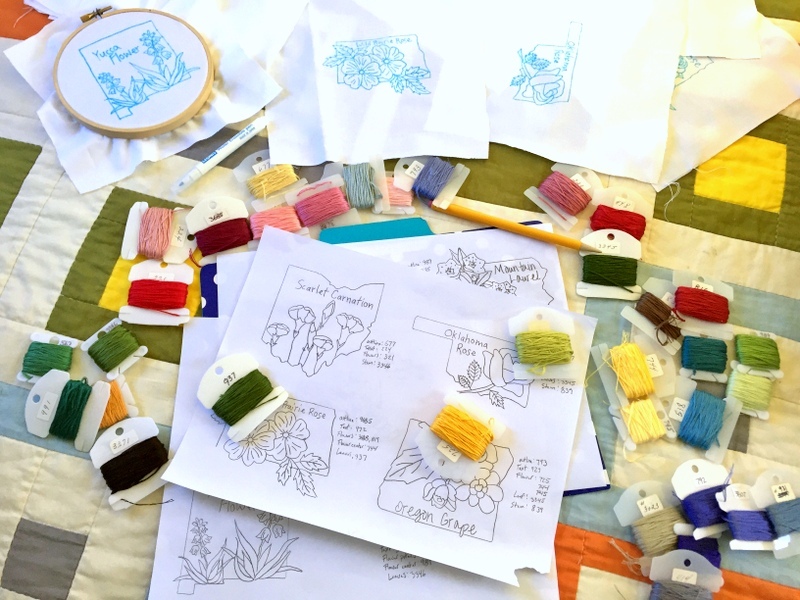 My embroidery pattern shop has seen a recent uptick in sales which has motivated me to kick it into high gear with some new patterns and stitch tutorials. Two new patterns now available in the shop! I also spent a few days creating patterns and picking out thread colors to bring with me on our trip. I really love that my job/hobby is so portable! 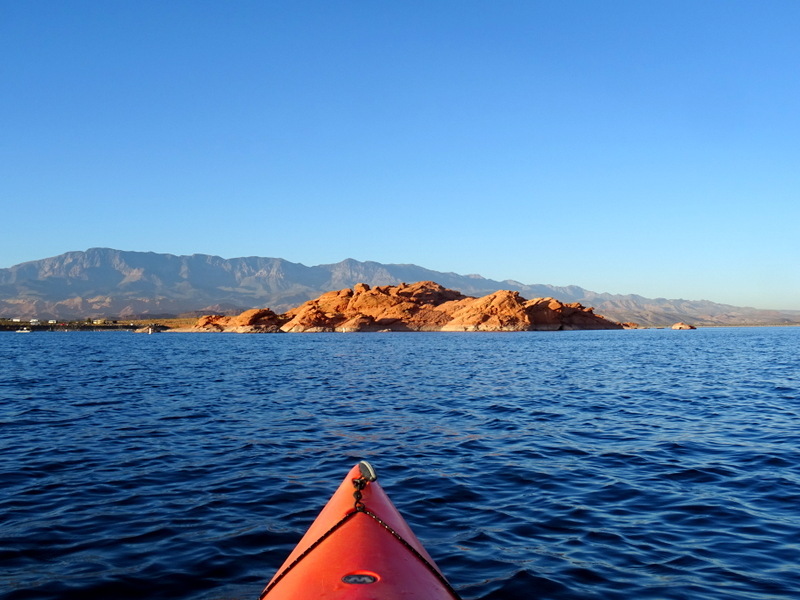 The weather was quite nice during our week at Sand Hollow and near the end of the week we got out for a short paddle around the lake. Another day, we walked around the campground and up onto a bluff overlooking the lake and housing developments below. 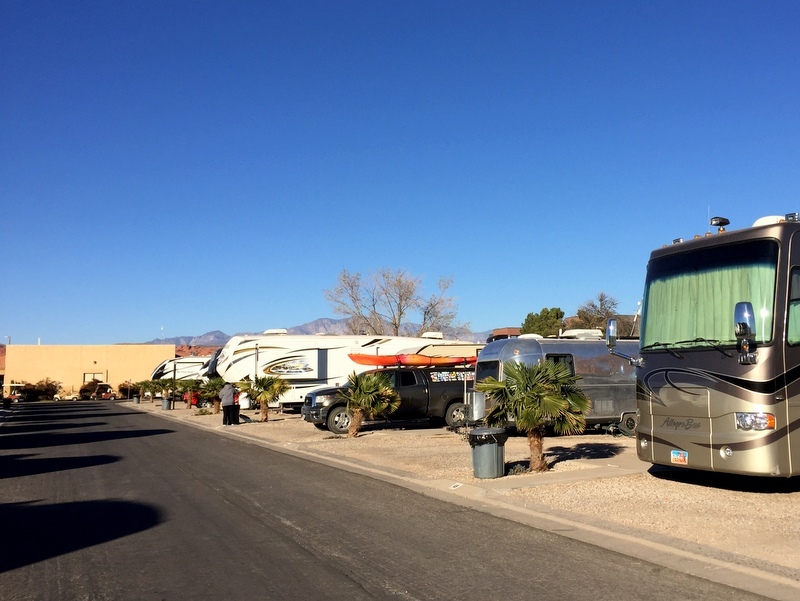 Over the weekend we moved to the Temple View RV Resort in St. George. I had originally booked this stay because we wanted to have full hook-ups for cleaning and winterizing the Airstream before leaving it behind. I guess we could have just stayed at the state park, but we also needed someplace to have packages delivered, so over to the new parking lot…I mean, RV park we went. I had hoped that we could take advantage of the RV storage lot at the park but by the time I called to reserve a spot they were full and had a 30 person waiting list! I guess St. George is a popular place for storing RVs because I had to call 4-5 other places before finding an open spot. Aside from doing tons of laundry, more errands, some test packing, and a finishing up all our work stuff, I have nothing of interest to report from this week. We did go out for a short bike ride one afternoon. 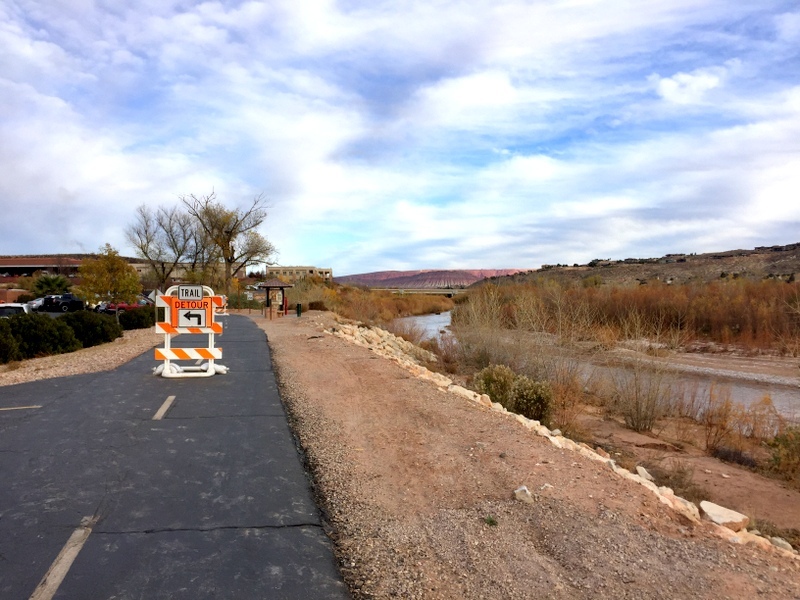 Tim finally got a new bike (yay) and we tested it out by riding a few miles on the network of paved trails around St. George. It was a good thing we went for that ride because it turned out that the front fork of his bike was broken and he had to bring it back to the shop. They replaced it and got it back to him only a day later, but it would have been a huge pain had it happened after leaving the area. And with that, we come to the end of two very busy, yet kind of boring weeks, and the beginning of a three-week travel extravaganza. The next blog post will be coming from a train! Gorgeous sunrise! I love the snow-capped peaks on your new pattern. Wonderful shadows. 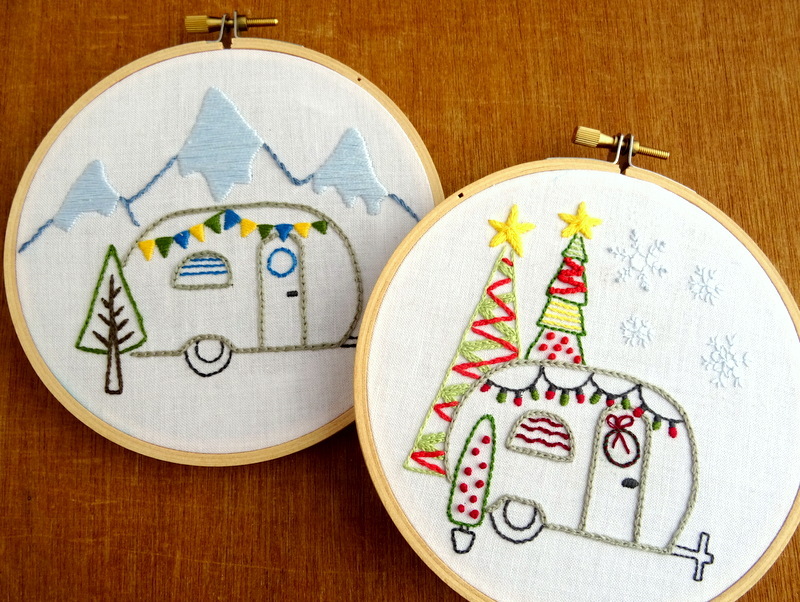 Can’t wait to see your winter adventure! !